Distracted Driving has continued to be a growing problem on U.S. roadways. TorHoerman Law has recognized the threat of this growing epidemic. We have made it our mission to get the word out to help end distracted driving and make the roadways safer for everyone. One out of every four car accidents is caused by texting and driving, and approximately 3,000 people a year die in those accidents. Statistics show that it isn’t just teenagers that are texting and driving; adults are texting and driving as much, or more than teens. A recent study conducted by the Journal of Transport & Health found that adults are more likely to engage in distracted driving, particularly texting and driving due to pressure from work. This doesn’t let teens off the hook as research shows that 60% of teen crashes are caused by distracted driving. The data does show though that texting and driving is not an issue solely for teenagers. Contrary to popular belief, distracted driving is not limited to driving while using your cell phone. In fact, distracted driving is defined as any activity that diverts attention from driving. In 2015 alone, distracted driving resulted in 391,000 injuries and claimed the lives of 3,477 passengers in the United States alone. Fatalities in 2015 were up from 2013, where 3,154 lives were lost because of distracted driving, which is a 10% increase from 2012 fatalities. One of the most common types of distracted driving among all demographic groups is talking on a cell-phone while driving. Research shows that talking on the phone quadruples your risk of motor vehicle accidents. Though almost everyone agrees that driving while using a cellphone is unacceptable, many drivers still openly admit that they practice these unsafe behaviors. Texting is the most prominent form of dangerous distracted driving, especially among young adults age 16-24. A simple one-word text can take your eyes off the road for seconds. In fact: At 55 mph, the average text takes your eyes off the road long enough to cover the length of an entire football field. Research also shows that texting and driving double your risk of an accident as compared to driving under the influence. Driving is a privilege that required the full extent of your attention. When you choose to drive while distracted you are not just putting yourself at risk, you are putting the lives of everyone else on the road at risk as well. In Illinois, all drivers are banned from both texting and talking on the phone while driving. It is legal, however, for drivers 19 and older to use a hands-free device while driving. Despite the law, people are continuing to engage in distracted driving. In a tragic accident, a ten-year-old girl was killed in an accident near Champaign, IL due to distracted driving. Learn more about the distracted driving laws in Illinois – http://www.cyberdriveillinois.com/departments/drivers/traffic_safety/distracted.html. If you’re 21 and over, texting and driving in Missouri is legal. That doesn’t make it acceptable. Accidents are still occurring. Why then do Missouri’s texting and driving ban only apply to those under 21 years of age? Now, more than ever, it is important to bring attention to Missouri’s nonsensical law and bring attention to the fact that more needs to be done by all of us. Missouri law 304.820.1 prohibits anyone 21 years of age or under from texting and driving. It provides limited circumstances, such as to report illegal activity, where those under 21 can text and drive. It doesn’t go far enough, but it also doesn’t mean we can’t all take additional steps to prohibit distracted driving. Learn more about Missouri’s distracted driving laws – https://www.dmv.com/mo/missouri/distracted-driving-laws. 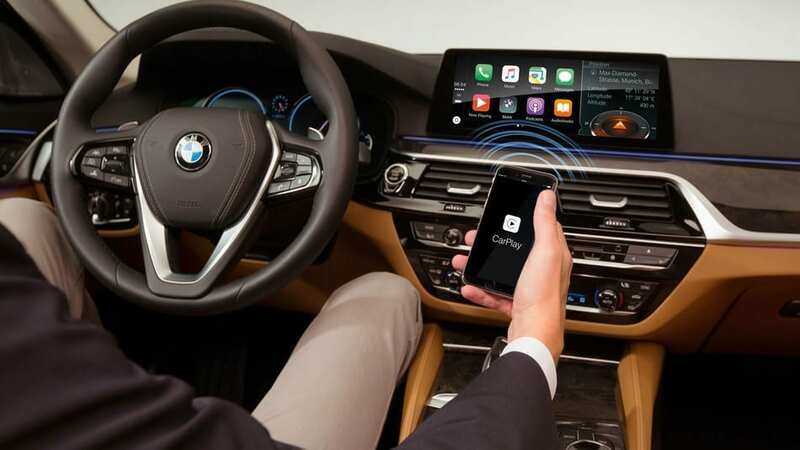 A study conducted by AAA found that while Android Auto Compatible apps & Apple Carplay apps were less distracting alternatives to built-in systems, neither could be considered a safe option for drivers to use while the car is in motion. These infotainment systems, which come standard with a number of new vehicle brands, are being advertised as a hands-free option for drivers to make phone calls and pull up GPS directions. The study found that it takes longer to make a phone call or pull up driving directions on built-in systems with dashboard touchscreens and the Android Auto Compatible apps & Apple Carplay apps performed better than built-in systems, being at least 20 percent less distracting than touchscreen systems, but still posed safety concerns. This is in part due to both systems’ hands-free voice command capabilities and simplified system functions, which reduce the time of performing tasks. Although researchers found that Android Auto Compatible apps & Apple Carplay apps were safer than built-in systems, they are still too distracting to be considered unsafe for the driver to use while the car is in motion. The researchers tested 10 new — 2017 or 2018 — vehicles which come with one of the apps, using more than 75 different drivers. The results showed that both apps were rarely safe to use while driving. A majority of drivers’ level of distraction using the apps was high enough to put them in danger. The study did note that some vehicle brands did perform better than others. Of all the vehicles tested, high-end vehicles like BMW and Mercedes were the most unsafe. “I would recommend that the driver program those navigation systems before they start to drive. Even though you can do some of these features while the vehicle is in motion, that doesn’t mean that you should, nor does it mean that it’s safe,” explained Dr. David Strayer, a cognitive neuroscientist at the University of Utah. Distracted driving is considered more dangerous than drinking and driving, claiming more than 3,500 lives per year. No matter how simplified car manufacturers make texting, calling, or using GPS with new technology, it is still a distraction that puts you and other drivers on the road at risk. It’s best to use this technology before you start driving, keeping your mind completely free of these distractions while the car is in motion. Regardless of what the laws are, we should all pledge to do better. AT&T has created the “It Can Wait” campaign. The campaign is a powerful reminder that we should all avoid distracted driving because our loved ones care about us. Also, other people’s loved ones care about them, and by driving distracted we place their lives at risk. As lawyers we, unfortunately, get to see all too often the results of distracted driving: serious injuries, death, lawsuits, trials, and financial hardship. Assuming texting distracts you for only five seconds and you are driving 55 mph, then you will drive 100 yards without paying attention. Most texts and emails take much longer to draft than five seconds. We are all too familiar with that compulsion to check our phones, especially while driving. The ding of an email when you are waiting for an important work e-mail. The tone from a text you know is from your mom. The Facebook notification indicating you have been tagged in a photo. All of these create an urge to know immediately what is going on. I know for me, the temptation is often overwhelming, but I also know how dangerous it is to check. It is hard to do the right thing at that moment. In addition to downloading apps that can help eliminate the inclination to check your phone, there are other ways to help end distracted driving. Pledge to not drive while distracted. Influence your family and friends to make a pledge as well. Set goals and punishments for yourself, your friends and family to help keep you on the right track. Especially new drivers and teenagers. They are more likely to drive while distracted so you should express how important it is to you that they don’t. Show them the statistics on the dangers of distracted driving. Whether it be to your children, friends are other family members. Do not drive distracted, especially when you have passengers. As an effort to help promote our campaign to end distracted driving, the lawyers at TorHoerman Law conduct presentations for local community organizations and schools, spreading the word about the dangers of distracted driving. Jessica Hoerman, a lawyer at TorHoerman Law, believes that speaking to teens is the key to changing the way society treats distracted driving in the future. Just as teens were part of the solution in reducing the number of drunk driving crashes in half since 1980, Hoerman sees that the teens she speaks to understand that driving distracted is a selfish choice. She sincerely believes teenagers will contribute a great deal in decreasing the number of crashes due to distracted driving. Talking to teens about distracted driving has become a passion for Hoerman and has spoken at schools around the area. One, in particular, stood out. At Whitfield School in Creve Coeur, MO, she discussed the dangers of distracted driving with students and found them to be open to the conversation and determined to be part of the solution. Hoerman noted that the EndDD presentation is not a lecture, but more of an informative talk that leads to great conversations. Through EndDD.org, an organization established to “raise awareness and generate action against the epidemic of distracted driving,” Jessica has spoken to over 3,000 students in the St. Louis metropolitan area. “Through community education, I hope that both new and experienced drivers will put the phone down. Paying full attention to the road and their surroundings could prevent an accident from occurring and lives from being lost. The ‘big picture’ goal is to end distracted driving by educating today’s youth on the dangers of distracted driving,” says Hoerman. Jessica Hoerman and the lawyers of TorHoerman Law are always happy to speak to students or other community organizations about the risks of distracted driving at no charge. If you are interested in having a member of TorHoerman Law present for your school, workplace or community group, please contact us. "Distracted Driving." NHTSA, U.S. Department of Transportation, 20 Dec. 2018, www.nhtsa.gov/risky-driving/distracted-driving. "Research and Statistics." EndDD.org, The Casey Feldman Foundation, www.enddd.org/research-stats/. What would you do if your friend was texting while driving? Why does society accept distracted driving? What can we do to raise awareness of the dangers and prevent drivers from participating in distracted driving?